Edition of 60, plus 4 trial proofs. Signed, titled, and numbered 57/60 in pencil. 12 1/4 x 8 3/8 in. ; 31.1 x 21.3 cm. 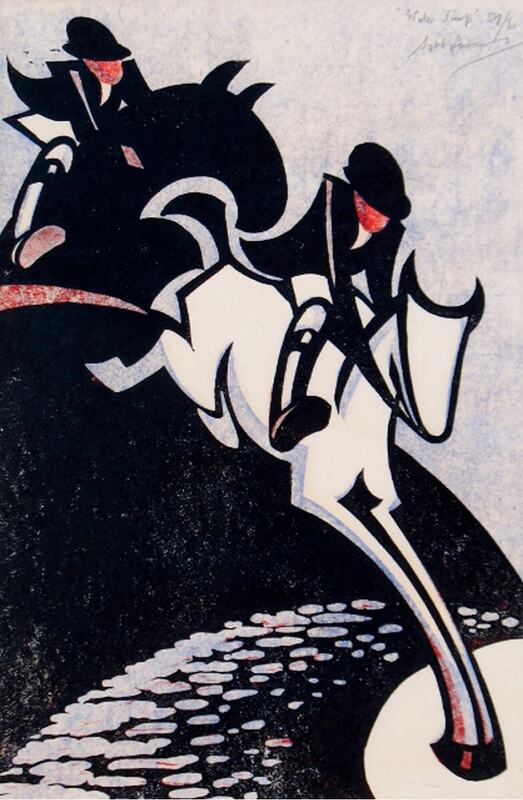 Andrews often depicted racing and leaping horses at the annual Epsom Derby. This well-printed impression has vibrant, unfaded colors.